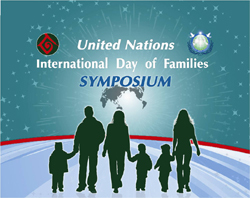 First, Universal Peace Federation acknowledges that the family is a microcosm of the global community. If the world is to finally come to an era of sustainable peace and harmony among civilizations, that peace must be founded on this basic, most essential social unit of humankind. In other words, the family is the central building block of society, as well as being an instrument for peace and reconciliation. Third, marriage and family are the basis of human development and the core institutions for education in character, ethics, social relationships, and citizenship. Strong, healthy, loving families help protect society from the moral decline of its youth, increase in crime, drug abuse and corruption, as well as the spread of diseases, such as AIDS. In addition, it can help break down the age-old resentments that have fueled religious, tribal and civil conflict. Fourth, throughout history, the family has successfully adapted to change. It has survived revolutions, outlived empires, and endured through the economic and social unrest of many societies. This adaptability, however, is now being threatened by a wide range of social developments, economic, cultural, and political. Now is the time to strengthen the family. Restoring the family is one way we can address the proliferation of social and civil problems plaguing the world today.